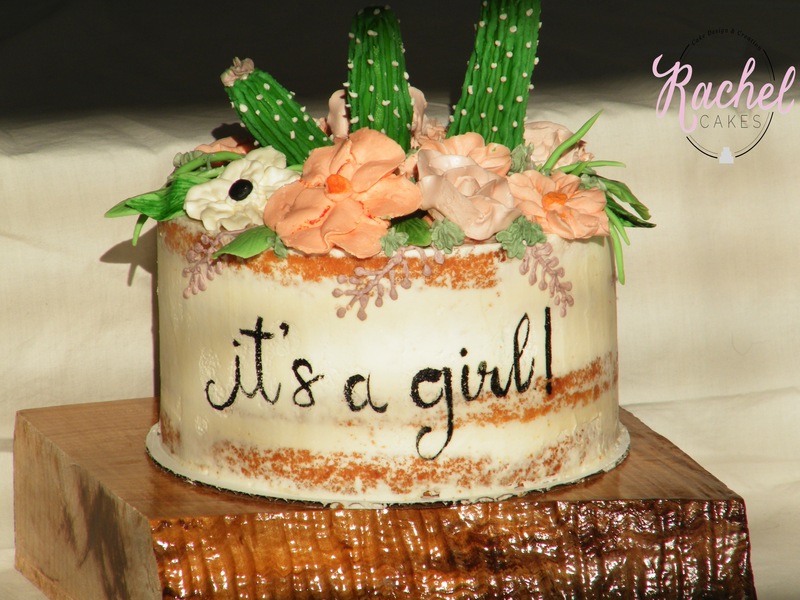 A Blogger, A Cake And A Baby! My friend Laura is an amazing Blogger. 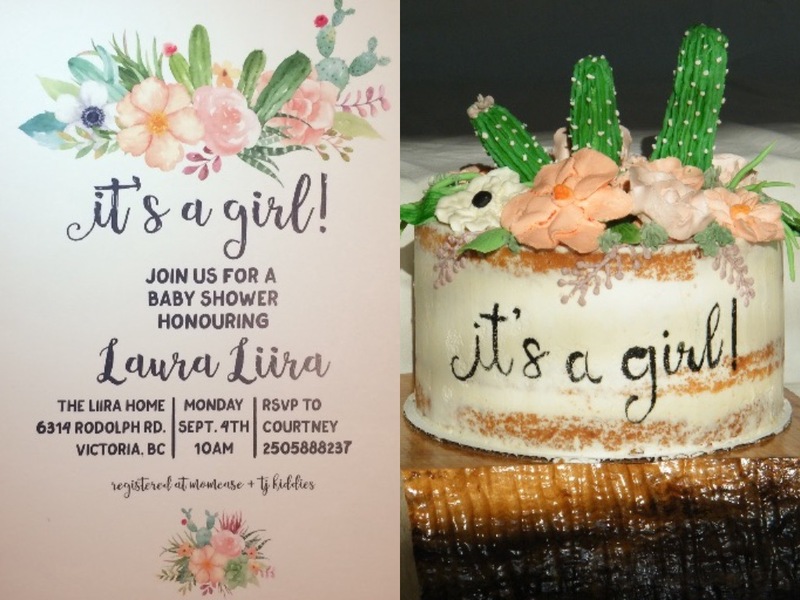 About 2 months ago our friend Courtenay asked me to make a baby shower cake to celebrate Laura’s soon-to-be-here-baby-girl and after seeing the invitations (WHICH Laura made!) I knew I wanted to re-create the invite directly onto the cake. 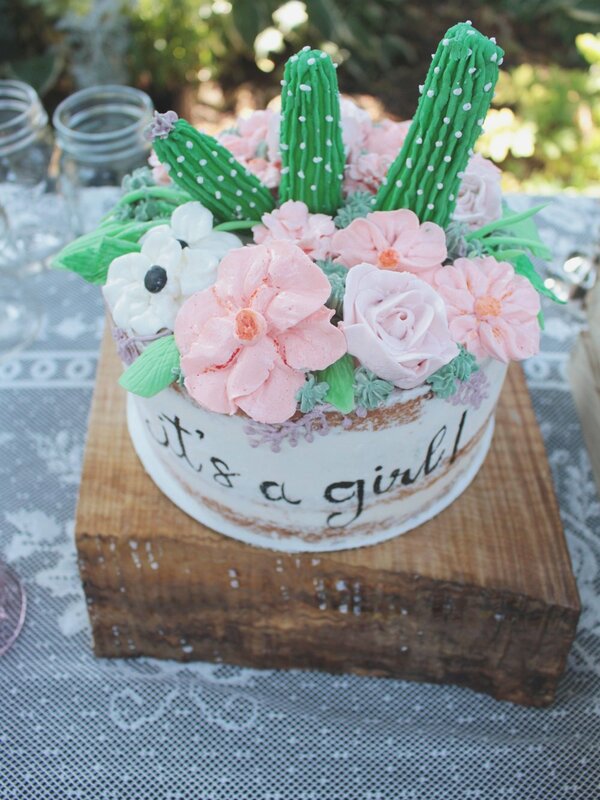 It was full of succulents, pastel roses, cacti and Laura’s own handwriting recreated in food colouring directly onto a semi-naked lemon cake with raspberry coulis. The garden of Laura’s in-laws was the perfect backdrop to the event which was held on a beautiful Victorian summer day. Congratulations Laura and James (& little Luca! – click here to see Luca’s Birthday Cake). Can’t wait to meet your sweet girl! ← Minnie Mouse – think pink!